The man in your life may be saying he doesn’t want anything for Christmas, but his skin is probably saying something completely different. The over-indulging, cold weather and stress of the festive season could be taking its toll on the appearance of his complexion, and the gift of skincare could be just the thing he needs. Whether you’re gifting a man who takes great pride in his appearance or you’d like to ease your boyfriend into skincare slowly, the simple yet effective Jack Black formulations are the perfect introduction. Jack Black Gift Sets are the ideal gift for a number of reasons. Firstly, they offer immediate visible results. Secondly, they are a pleasure to use and lastly (if you haven’t already been swayed) they are easy and straight-forward to use. Skincare doesn’t need to be hard work and that’s the beauty of Jack Black, many products are multi-purpose and help to keep skincare regimen’s uncomplicated and straight forward. So, if he thinks skincare is too much stress or claims ‘he has no time’, then this range will be the perfect ‘I told you so’! And on the other hand, if skincare is one of his favourite pastimes, a Jack Black Gift Sets will be a no-brainer for his stocking. 2016 has been a really big year for facial hair. If you haven’t been growing a beard yourself, you’ll know someone that has been! The booming beard trend has meant that men are now more interested in taking care of their facial hair, great news if your partner has jumped on the band wagon! 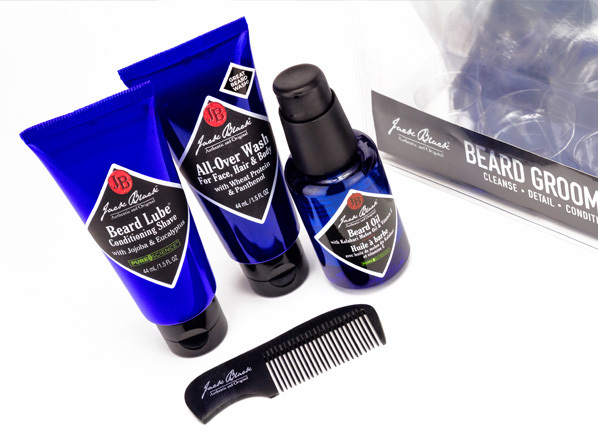 Jack Black’s Beard Grooming Kit will help him keep his beard smelling, feeling and looking great – I’ll let you decide whether that is a gift for him or you. Comprising of an All-Over Face Wash, Beard Lube Conditioning Shave, Beard Oil and Hand-crafted Beard Comb, this gift set will ensure he’s sporting the best beard around. Whilst some men are regimented with their skincare, other men have little to no-time for moisturising and exfoliating their skin. For the most part this is because they haven’t found products that truly work or don’t know where to start with it all. 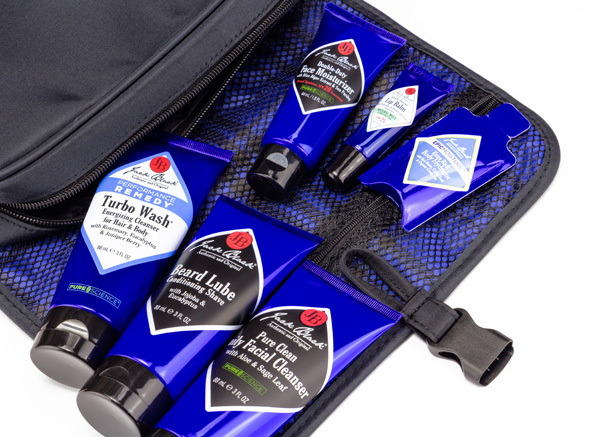 The Jack Black About Face Gift Set gives them the chance to introduce skincare into their routine easily without too much commitment. The gift set includes the Face Buff Energizing Scrub, Beard Lube Conditioning Shave and the Double Duty Face Moisturiser, all the products he’ll need to finally get a skincare regime started. If the man in your life is always hopping from hotel to hotel he may not be taking the best care of himself or his skin. When you’re constantly living out of a suitcase it can make anyone feel a little worse for wear or unsettled. 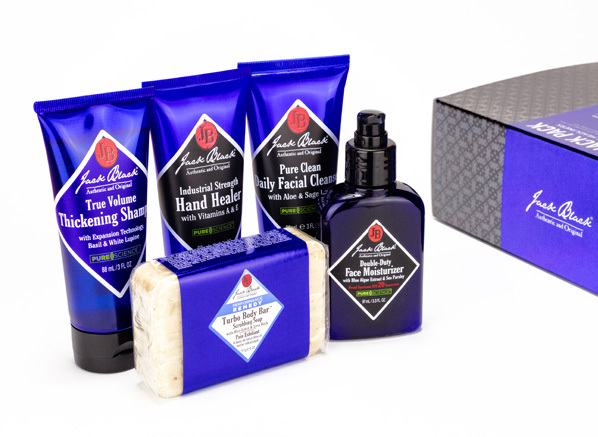 The Jack Black Power Trip Travel Gift Set will banish their homesickness and add a little comforting pamper into their nightly routine. The gift set contains the Pure Clean Daily Facial Cleanser, Double Duty Face Moisturiser, Beard Lube Conditioning Shave, Turbo Wash Energizing Cleanser and Mint Lip Balm all presented in a convenient wash bag that’ll keep all their skincare necessities safe and sound. Whether he’s in to extreme sports or always stealing your chap sticks, the Jack Black Balm Squad Lip Quad is a must-have for a man that suffers with sore, uncomfortable chapped lips. The Lip Quad contains four moisturising balms, so, he can keep one in his car, pocket, briefcase and a spare in case any ‘go missing’. 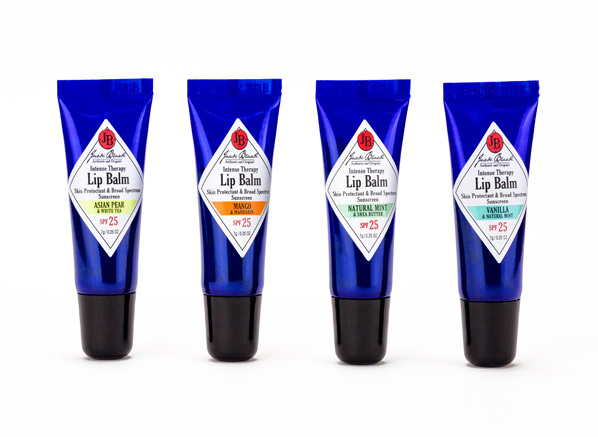 Each balm contains added UVA and UVB protection, ideal if he’s an outdoor pursuits kind of guy. A blend of shea butter, avocado oil and lanolin will keep his lips soft and deeply conditioned. And not forgetting my favourite thing about these nourishing balms, the scents! The set contains Mint & Shea Butter, Vanilla & Natural Mint, Mango & Mandarin and Asian Pear & White Tea – I bet that you already have an eye on one for yourself! On the look-out for a secret Santa gift or a stocking filler? 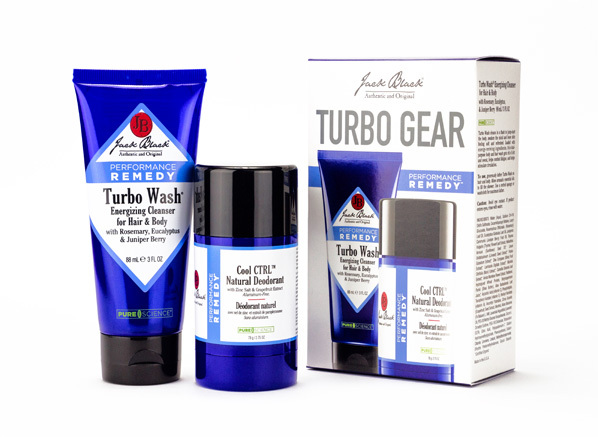 The Jack Black Turbo Gear Gift Set lends itself perfectly to either. A duo comprising of the Turbo Wash Energizing Cleanser that can be used as a shampoo or body wash and the Cool Control Natural Deodorant, this gift set would be ideal for someone that’s always on the go. If you know he has a few holidays in the pipeline or he’ll be travelling with work a lot in the new year, this gift set will ensure he remains fresh wherever he is. 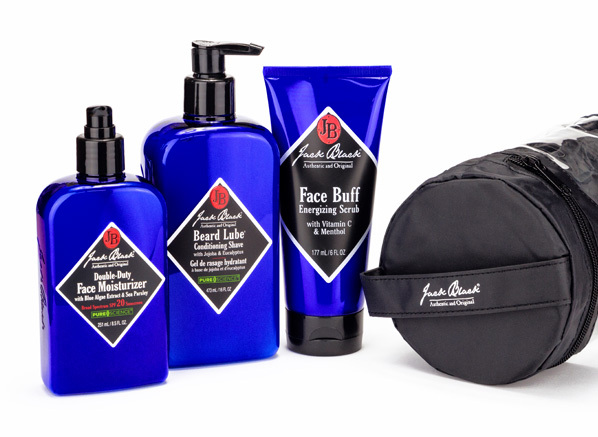 The Jack Black Jack Pack Gift Set is the one to go for if he wants for nothing. With a handful of Jack Black customer favourites it’s the perfect introduction to the brand and will also fill his skincare stash up quite nicely too. Comprising of a facial cleanser, moisturiser, hand healer, scrubbing soap and thickening shampoo he’ll be looking well-groomed and impeccably polished with this comprehensive gift set. This entry was posted on Thursday, December 10th, 2015 at 2:33 pm and is filed under Brand Focus, Christmas, Christmas Gifts, Men, Skincare, Uncategorized. You can follow any responses to this entry through the RSS 2.0 feed. You can skip to the end and leave a response. Pinging is currently not allowed.